I’m thrilled to have a piece in the new issue of Jack Kirby Collector #73, just out. It’s an interview I did with the master in 1993, the year before he died. Don’t blink or you might miss JACK KIRBY COLLECTOR #73, the ONE-SHOTS issue (100 full-color pages, $10.95)! In it, we cover Kirby’s best (and worst) short spurts on his wildest concepts: ANIMATION IDEAS, DINGBATS, JUSTICE INC., MANHUNTER, ATLAS, THE PRISONER, and more! There’s also an interview with MIKE ROYER on his work with Jack and elsewhere, a rare Kirby interview, MARK EVANIER and our other regular columnists, panels from the 2017 Kirby Centennial celebration, pencil art galleries, and some one-shot surprises! 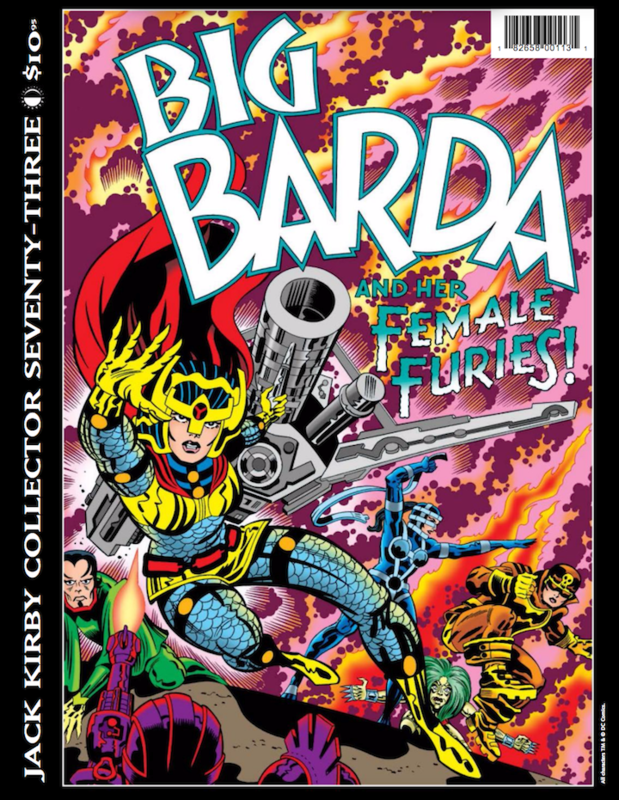 Sporting BIG BARDA #1 cover finishes by MIKE ROYER! Edited by John Morrow. 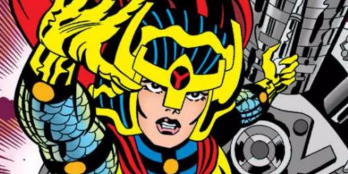 I love Big Barda, don’t you? My piece is the “rare Kirby interview” mentioned. Here’s to the King of Comics!